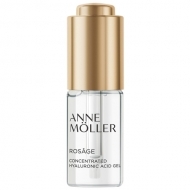 DESCRIPTION: Rosâge Nourishing Night Oil-in-Cream from Anne Möller is a nourishing evening oil-in-cream enriched with proteoglycans and soybean oil. 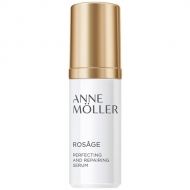 Its Probiotic Skin Supplement technology addresses the 13 signs of aging, offsetting the nutritional deficit that the skin undergoes due to premenopausal and menopausal hormone changes. 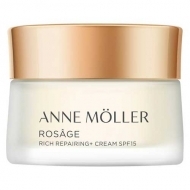 It stimulates the self-regenerating power of the skin, improves its quality and density, reduces the appearance of wrinkles and gives maximum elasticity and nutrition. Its cream texture becomes a delicate oil on the skin for immediate comfort and softness.